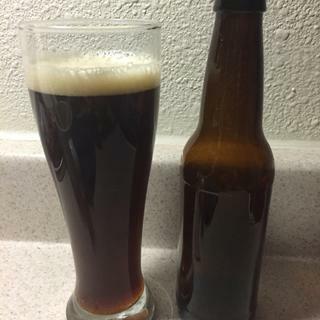 Medium bodied, beautiful red color, and toasty, graham cracker malt character. Where Helen’s was the face that launched 1,000 ships, this is the beer that’s launched thousands of homebrewing careers. One of our all time best-selling recipes--one sip and you’ll understand why! Irish reds are a crowd pleaser and I'd love to make a beer that my friends all love and want more of. The kit was sent to me with Bavarian Wheat DME. Moreover sent the proper DME after I called them. 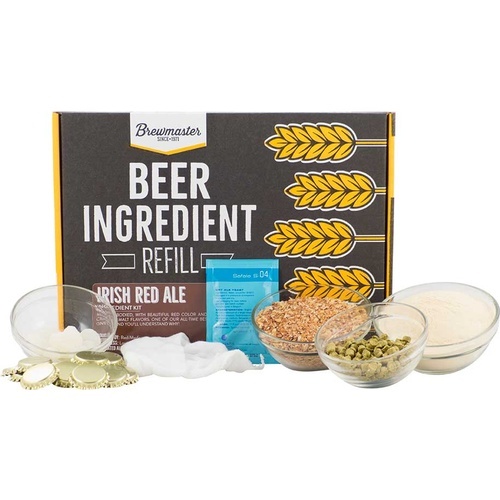 This kit produces a beer that is darker than the BJCP Guidelines for an Irish Red. It did produce a very good tasting beer. I would recommend this kit for people who like dark beer. More Beer Irish Red Ale Kit.